Other People’s Lives is a unique and experimental record that harks back to 80s dance and pop music and, yet simultaneously manages to be modern and forward-thinking. The band combine elements of funk, groove, indie and dance to create a catchy and smoothly digestible debut album for Stats. The record opens, and sets the tone well for the rest of the album, with ‘I Am An Animal’. The bass has a groovy edge, the drums a steady momentum, and lead singer Ed Seed’s vocals have that distinct Pet Shop Boys-esque quality on a song that comments on the human condition – we are all just animals, after all. This tone and genre remain fairly constant throughout. Stats’ songs are consistently catchy with their unexpected melodies, thumping drums and intricately layered synths. A high point on the record comes in the form of ‘Lose It’ – the band and album’s first single. The song perfectly encapsulates the band’s aesthetic – modern sounding experimental synths and uniquely compelling vocals, making for a solid first record. The lyrical content of the album is equally intriguing. Stats explore what it means to be human – to be flawed, inconsistent, and complicated. On ‘Lose It’, Seed claims that ‘you can’t rely on anyone’, before later, on’ The Man Who Makes The Weather’, going on to wish that he could be a man that a lover could depend on. ‘Never Loved Anyone’ examines the difficulty of working out whether you’re actually in love or not, whilst ‘The Family Business’ explores the uncomfortable realities of a broken family. The record has few negative qualities worth noting. Some listeners may find some of the outros on the latter half of the album a bit too repetitive and long-winded at times. However, for the most part, Stats have managed to steer things away from the pretentious and experimental realm of three-minute instrumentals where there is almost no material of interest or a lack of significant melodic, harmonic or instrumentation changes. 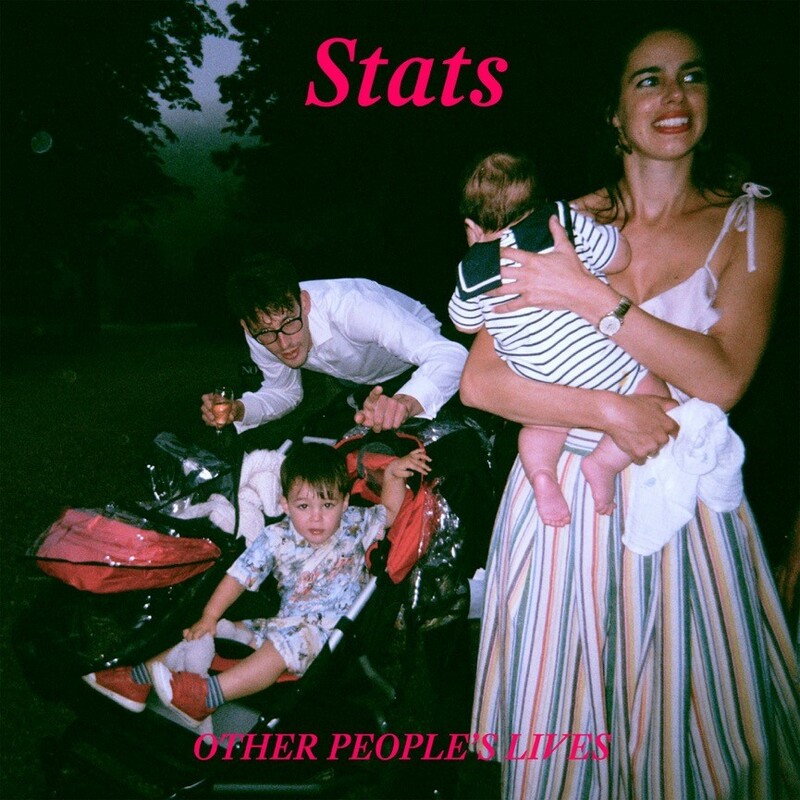 Overall, Stats’ first record is a strong one. The listener, for the most part, remains captivated throughout. Their consistently engrossing style of 80s dance, funk, and indie make for a record that feels coherent and complete. They are certainly a band who will be interesting to watch develop their style.